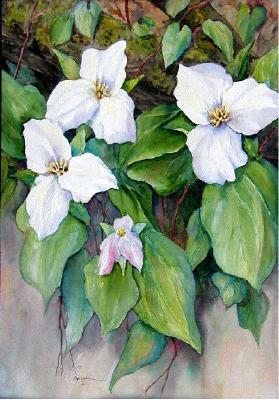 Trilliums -- These large white spring wildflowers are a treat to find on a walk in the woods. Usually upright on the forest floor, this bunch was hanging over a cliff near my home. I couldn't resist the climb to photograph and sketch it. It's one of my favorite paintings.